The wise-cracking Wall-Crawler collides with the She-Devil with a Sword! Longtime Marvel readers know that these two legends have met before - but that was just the warm-up! They may be from two different eras, but Spider-Man and Red Sonja have both faced the maniacal mage known as Kulan Gath. Now, the sadistic sorcerer makes a play for power that will once again bring these two famous heroes together - but will it be as friends or foes? 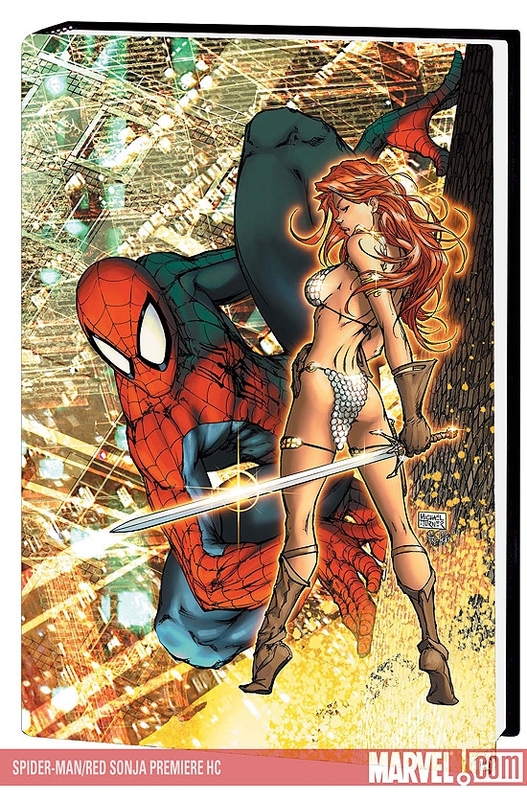 Writer Michael Avon Oeming (OMEGA FLIGHT, Red Sonja) and Mel Rubi (Red Sonja) - plus cover artist Michael Turner (CIVIL WAR) - answer the eternal question: What's better in a fight, the proportional strength and speed of a spider, or cold, hard steel and a chain-mail bikini? Collecting SPIDER-MAN/RED SONJA #1-5 and MARVEL TEAM-UP #79.